Me getting my eyelashes done by vintage cosmetics. freeze! I'm Joking I've got all my jumpers out LoL!! 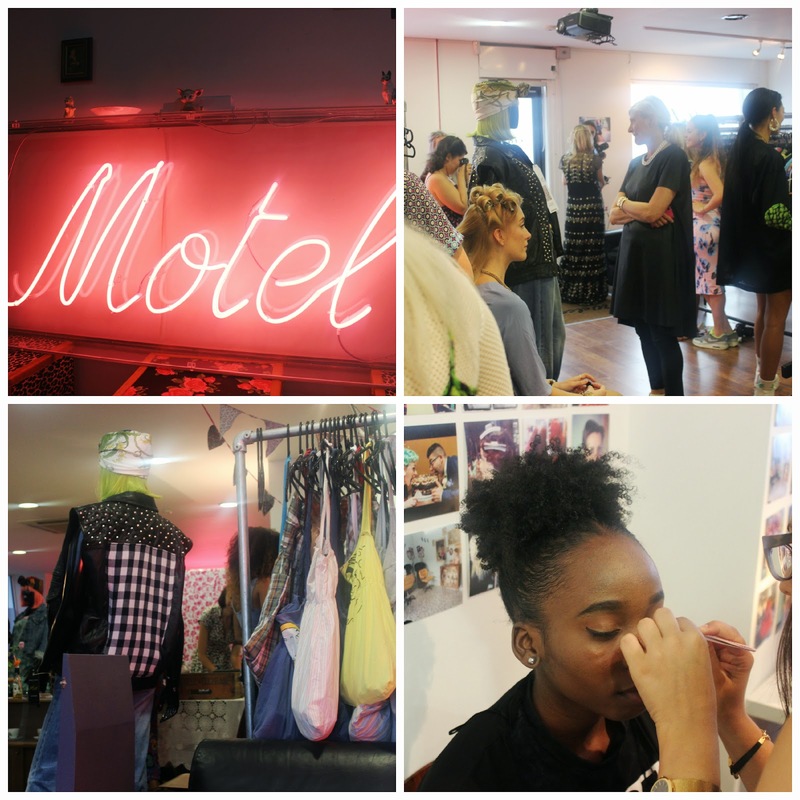 The lovely girls at Motel Rocks Invited me to a Vintage Pop Up preview. It was held in their London HQ which was revamped to look like a vintage cottage. They had cute tea cups, a 1970's vintage bar and record player spinning some tunes. I was lucky to meet cool fashion and beauty bloggers like Beauty-crush and Tashagreen and more! (lol I was starstruck). They had Rockalily Cuts hair stylists on hand to create 1950's hair do's for guests.The team from The Vintage Cosmetics Company showcased their new range of beauty accessories. Fluttery false eyelashes was done by their professional make-up artist for bloggers. Masters, made delicious sweet snacks for us to eat though out the evening,And I finally got to try Cronuts. The snacks and drinks were presented in vintage tea cups and plates courtesy of The Vintage Sisters. The ever so cool jewellery brand Gogo Philip was their showing their latest collection.They sell bold statement jewellery pieces that can make any look turn up! Their key style is gold plated jewellery inspired by 90's and urban culture with a modern twist. (Think Salt-n-Pepa huge hoop earrings). Their Motel Vintage collection has a mixture of different styles with inspiration from 80's and 90's culture and all reworked from original vintage garments. 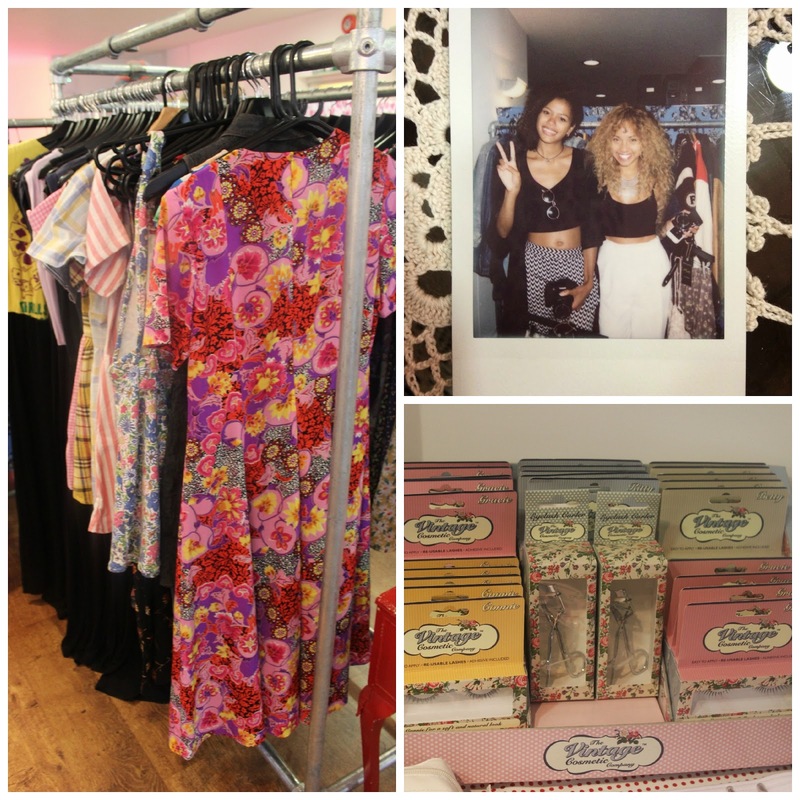 There were iconic Levi jeans showcased as well as floral shirts, pinafores and 2 piece bralett and shorts sets. My fav was the PE style shorts and Adidas cardigans which was a big craze in the 80s. I was also loving also their 50's style cropped tie front shirts, which is available online now at Motelrocks.com too! I had a great time and I want to Thank the motel rocks team for giving me a fun evening!! !